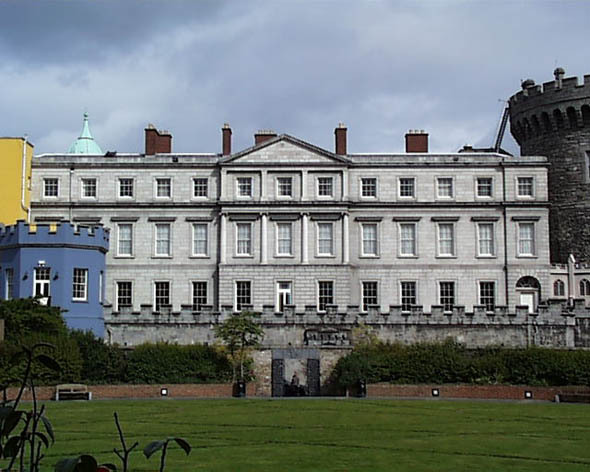 The rear of the exterior of the State Apartments buildings has a differing treatment from the upper yard. 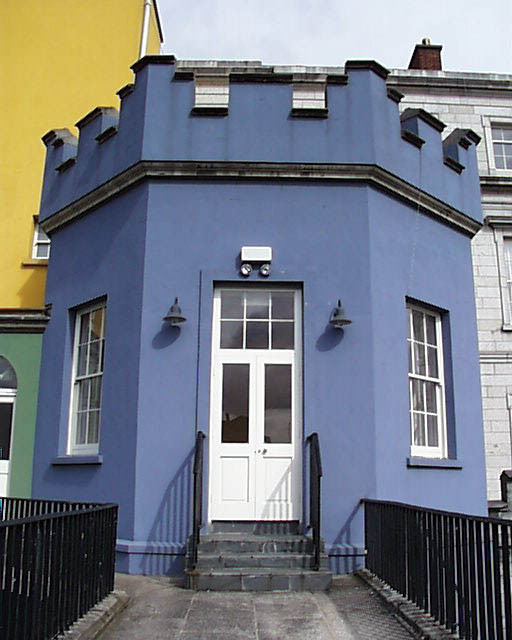 Much of the exterior is simply stuccoed and has been painted in bright colours by the Office of Public Works and resembles a Lego construction. 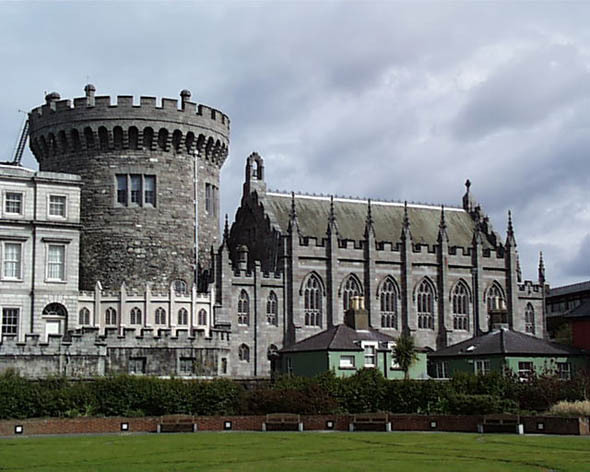 The remainder has a three storied stone faced classical treatment. It is from this side that the two remaining round towers of the original castle are most visible – the Bermingham Tower and the Records Tower next the Chapel Royal. 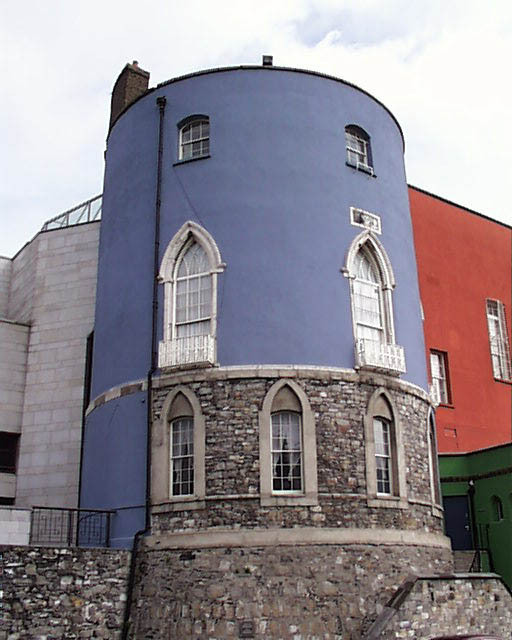 One of the original towers from the castle in its fortress days, the Bermingham Tower is now an integral part of the State Apartments complex. 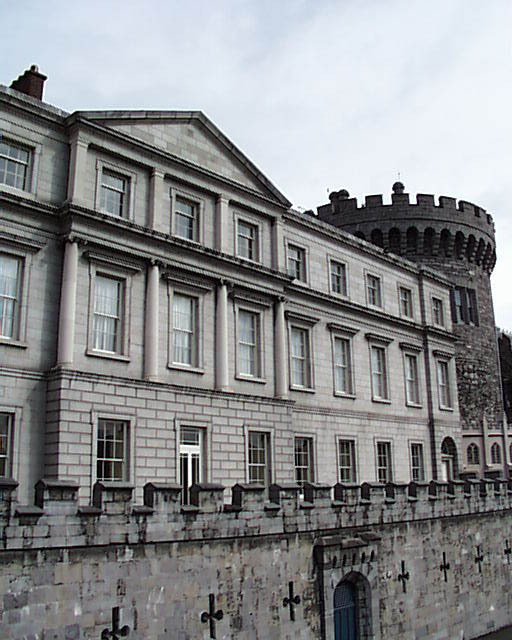 A former yard behind the castle – in legend the site of the Black Pool or Dubh Linn from which the city gets its name has been turned into a garden with the new Chester Beatty Library of Oriental Art to one site and the converted stables to the other.